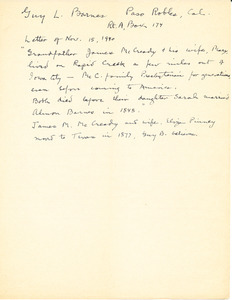 Letter from Guy L. Barnes detailing some information about the McCready family. It mentions James and Eliza McCready, and Almon and Sarah Barnes, who were all founding members of the First Presbyterian Church in Scott township. Almon Barnes was ruling elder of the Church. 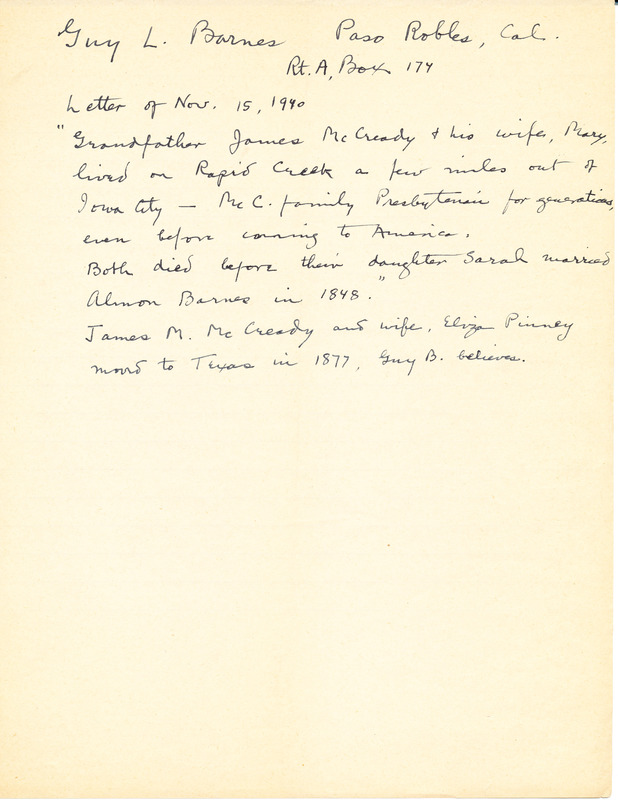 “1940 Letter regarding Barnes genealogy ,” Iowa City Public Library, accessed April 24, 2019, http://history.icpl.org/items/show/2097.